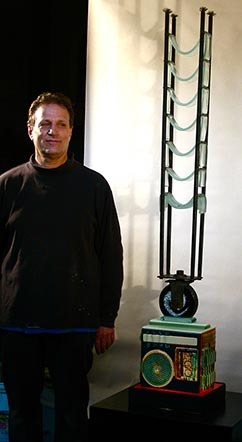 Bruce Pizzichillo is a contemporary American master of glass, steel and painting media. 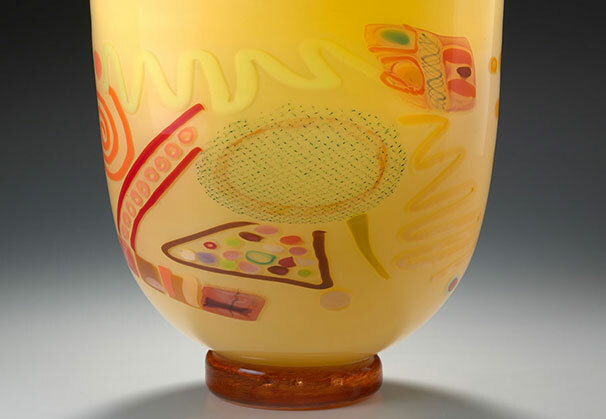 Like jazz music transfigured into physical form, his work envelops the viewer in the primal creative source from which it originates. Stately, dynamic and vividly present, these works capture and celebrate the unexpected moment of awakening to life, to love, to surrender. 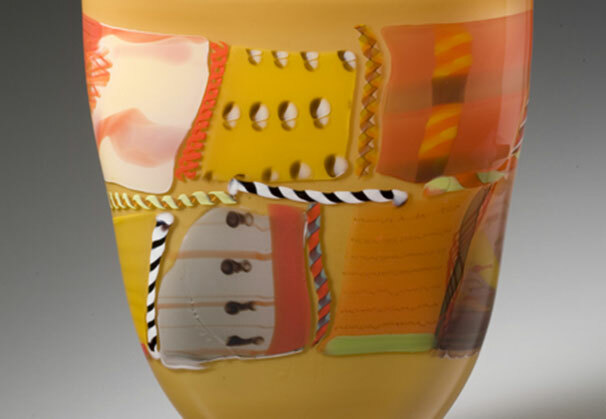 Bruce is represented by William&Joseph Gallery, Santa Fe, NM. Over the years my work has been shaped by so many outside forces: music, painting, dance, poetry, film and architecture, to name a few. 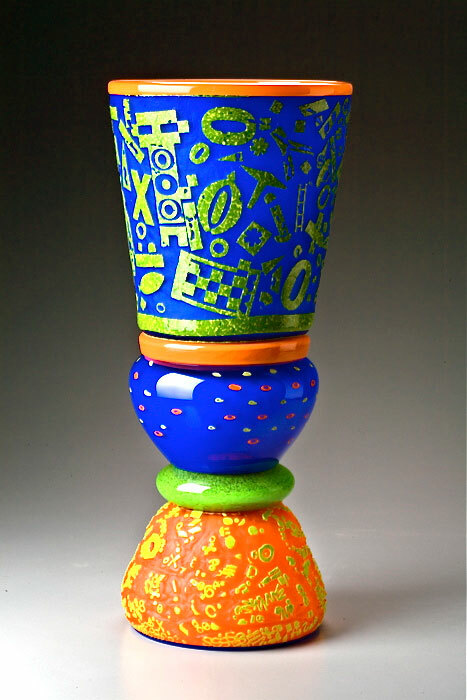 My work is relevant only as it relates to life and culture. The process of searching for this relevance is always bearing new fruit. The constant need to be challenged and to reinvent myself has been evolutionary catalysts, changing the direction of my work. 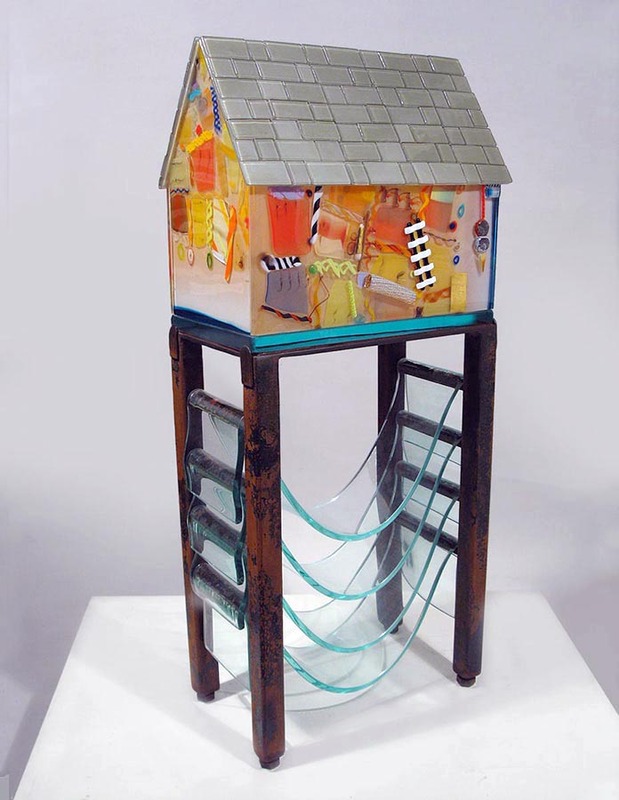 I work in glass, metal, wood, paint and found objects and incorporate new techniques and materials in my art. This diversity opens to me a fuller expression of simple ideas. I've been investigating the unique properties of glass for 37 years. Its physical qualities capture the ephemeral side of all that is born, develops and dies: a state of constant change. 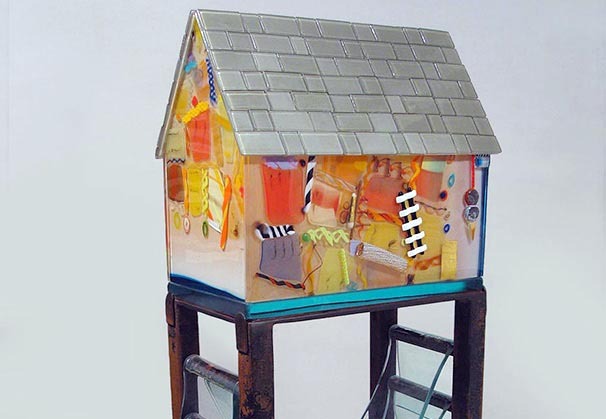 Glass can be formed, transformed, shattered and crumbled into a thousand pieces. What material is a better metaphor for the transitory nature of life? 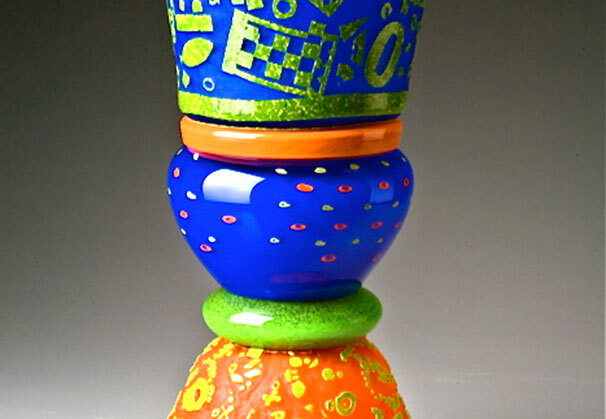 I work hard to keep my art from being one dimensional. For me creation is not really the point of art. It is more a record of what has happened, enabling artist and viewer to experience things more intensely and inspiring the viewer and the artist to new levels of awareness and creativity. With my relationship to music I gained a passion for experimenting with critical interpretations of the past, aiming to discover the real origins of traditional concepts in order to distill (and instill) their original spirit. The music, dance and poetry enabled me to experience the joy of taking risks, the thrill of the unexpected, and to embrace the restlessness of my creative spirit. These qualities are now celebrated in my work. I started to paint on canvas five years ago. In the beginning I would attack each new painting with a childlike spirit leading me on. I began to experience freedom from within. This new inspiration is like a wild animal; it comes, first and foremost, from the world you live in and by life. It's an exchange, a mutation of sorts arriving at "inquietante familiarite," a phrase referring to the phenomenon that describes a strange nearness or a strange familiarity or perhaps a familiar strangemess. Art often has this quality for me, taking what you know into the unknown, making the familiar unfamiliar, bringing the unfamiliar near and seeing things as if for the first time. Art can be used to explain many things in life that can't otherwise be explained. As an artist I extend the sense and awareness of things unseen. At this point in time, many things have come together in the evolution of my work as a result of listening to the silence that exists before the sound is made. This silence is also present before every action that we initiate in life. 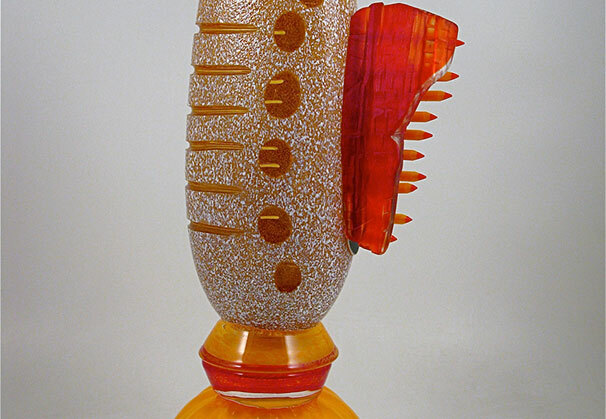 Bruce Pizzichillo began his glasswork in 1975 at California College of Arts & Crafts and finished in 1980 with a BFA in glass. 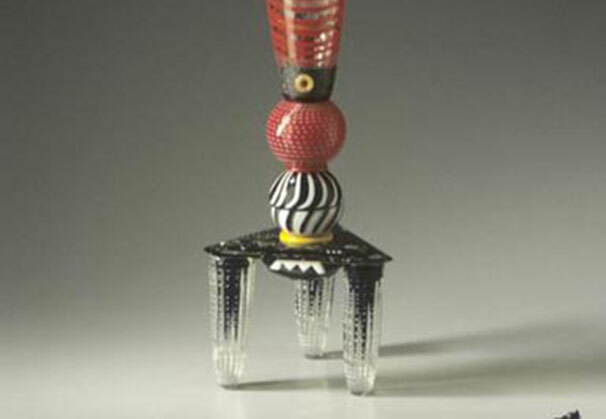 In 1984 he established Pizzichillo-Gordon Glass Studio with his wife and partner Dari Gordon in Oakland, CA, making it the oldest running glassblowing studio in Oakland. 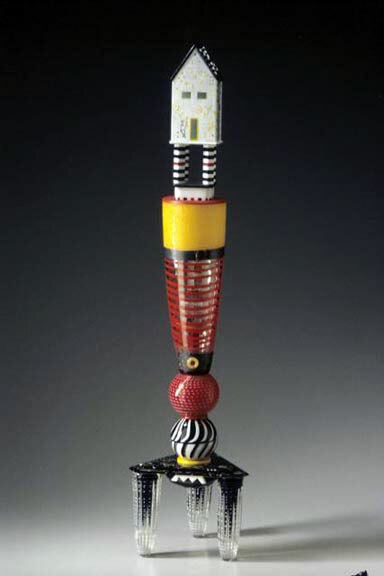 In 1988 he was the recipient of a fellowship to Creative Glass Center of America, WheatonArts and Cultural Center, NJ. Bruce served as president of the non-profit Jazz in Flight, an organization for jazz music production and free children’s music classes from 1999-2005. 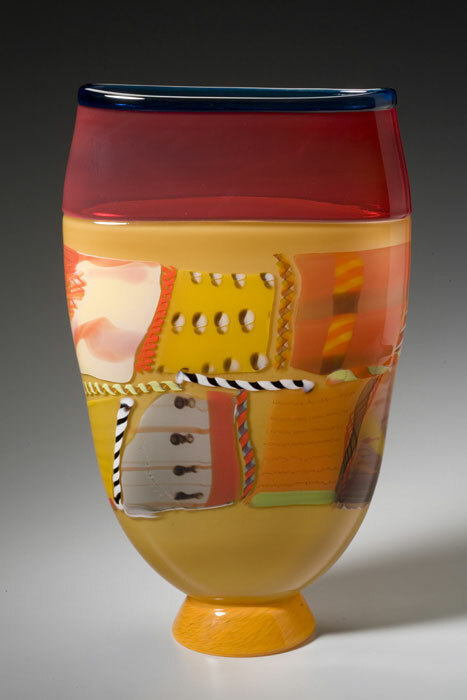 His work has been featured in numerous publications and books such as Lark Books’ 500 Glass Objects, as well as being in several private, corporate and museum collections such as Pew Charitable Trust, Philadelphia PA; U.S. Embassy, Ottawa, Canada; Museum of American Glass, Millville, NJ; and Bellevue Art Museum, Bellevue, WA. 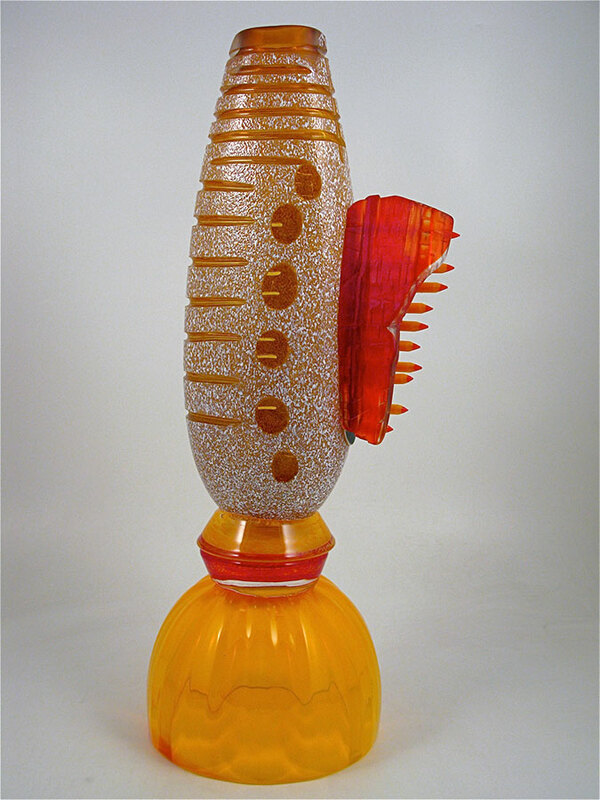 Bruce was featured annually for 17 years in Glass Now, a traveling exhibit of American glass art sponsored by the Yamaha Corporation throughout Japan. 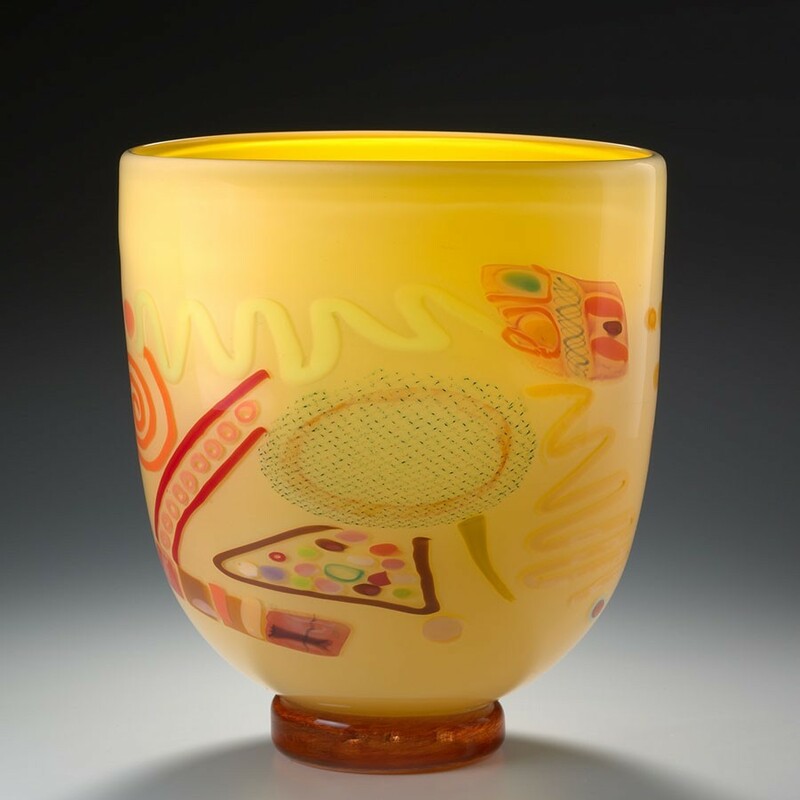 We are grateful to William&Joseph Gallery, Sante Fe, New Mexico, for providing the materials for the Artist of the Month.